Aloha! 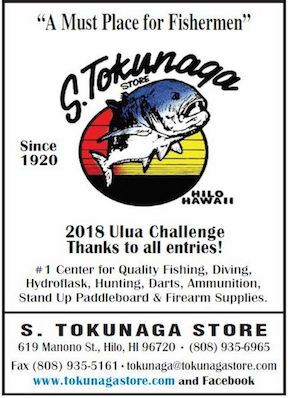 Welcome to the Hawaii State Record Fish listing. The fish on this page are the largest taken in Hawaii regardless of how they were obtained. For a copy of the Hawaii State Record Fish Application, download the application form by clicking here. Fill out the form and mail or email us at HFN with a high-resolution photo(s) and a short story, and we may verify your catch as a state record. Click each fish listed to read a short story of the catch.